By N.R. Jenzen-Jones and Natalie Sambhi. Nic Jenzen-Jones has had several years’ experience working with and producing analyses for private defence and security contractors. He currently consults on a freelance basis. The death of Osama bin Laden undeniably brings a sense of closure to many and marks an important moment in the 9/11 chapter of history. Yet it brings to a head the many uncomfortable questions raised about Pakistan over the past years. The bin Laden episode highlights, as commentators like Joshua Foust explain in more detail, the steady degradation of US-Pakistan relations. What the killing of bin Laden demonstrates is that the US is capable of conducting complex operations within Pakistan, such as acquiring a high-value target, with what seems to be minimal (if any) assistance from the Pakistani security forces. Does this state of relations cause a necessary shift-of-mission for the US? And if so, is this a shift towards an approach more focussed on counter-terrorism operations? With Pakistan’s ability to enjoy, hitherto, financial and material backing from the US (some US$18 billion between 2001 and 2010) and other Coalition partners like Australia, questions will need to be asked about how the Coalition will move forward in light of these developments. There is no denying that Pakistani assistance has been valuable in the ongoing war in Afghanistan, in particular in the support of targeting insurgent-rich areas bordering Afghanistan and Pakistan. The US has based drones within Pakistan, and the Pakistani military has even captured high-ranking terrorists, and conducted airstrikes against Taliban targets sheltering in the tribal regions. However its many transgressions—particularly those of the ISI—have often come to light as well. They include ISI connections to the bombing of the Indian embassy in Kabul, the tipping off of insurgents, and allegations of close relations with the Haqqani network. In light of this balance sheet, Coalition partners will have to reflect upon the most effective way to continue to operate with such an ally. Citizens around the world, most certainly from those countries which have committed troops to Afghanistan, will demand an answer as to how the world’s most wanted man was allowed to operate under the watch of Pakistan’s intelligence service (the ISI) for so long and, astoundingly, so close to a Pakistani military training academy and a nearby police station. If the current state of relations between the US and Pakistan—the determinant of the broader relationship between the Coalition and Pakistan—continues, what does this mean for Australian operations overseas? 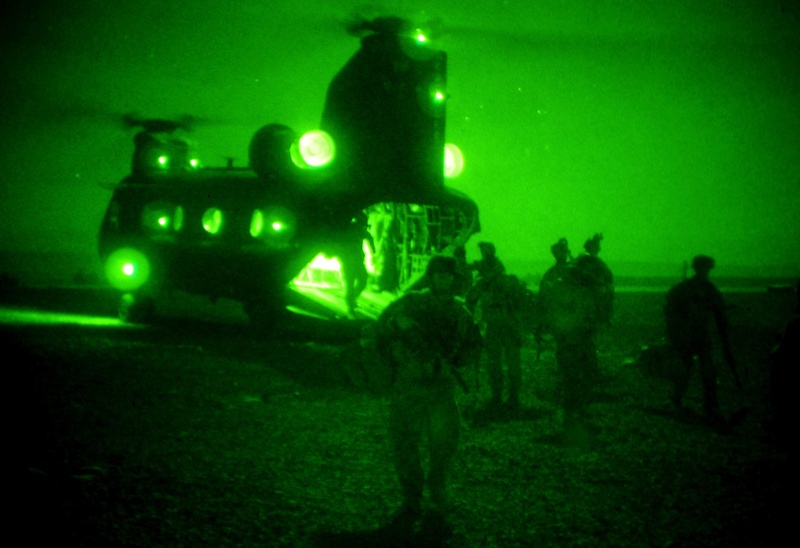 As our Prime Minister and others have observed, this episode will likely leave our Mentoring Task Force mission of training the Afghan National Army relatively undisturbed until the withdrawal of 2014. On the other hand, if continued Pakistani intransigence leads to the US adopting a more counterterrorism-centric approach (along the line of Joe Biden’s light footprint plan), there is a good chance Australia’s Special Operations Task Group (SOTG) mission will be affected. At present, the main focus of the SOTG is disrupting insurgent networks in and around the province of Uruzgan. To date, they have also conducted operations in Kandahar involving the targeting and capture/killing of insurgent leaders. Being under US command, should the US mission increase targeting of al-Qaeda elements in the AfPak region, it is not too difficult to envisage that the SOTG would follow suit. With increased operational tempo (in April alone, the latest rotation of SOTG has produced results here, here and here), there has been speculation that we have physically and mentally exhausted our SAS personnel. This morning, Prime Minister Gillard affirmed a desire of maintaining close security ties with Pakistan, but this statement will ring hollow if Pakistan continues to produce a mixed balance sheet. Without Pakistan on board, many of Australia’s efforts in stabilising Afghanistan with the aim of denying terrorist safehavens would be in vain. Ultimately, however, the Coalition partners must be prepared to look at alternatives to working with Pakistan’s security forces. Of course, that begs the question: how tough is Australia prepared to get on Pakistan if we risk burning out some of our most valuable military assets? This entry was posted in ADF, Afghanistan, Australia, Special Forces by Natalie Sambhi. Bookmark the permalink. With friends like these who needs enemies. Pakistan is not trusted by the Americans or the Australian security arm [ASIO] regardless of what our PM says. Would two faced be overstating the Pakistan position? Or are they trying to keep their radical part of the population on side?